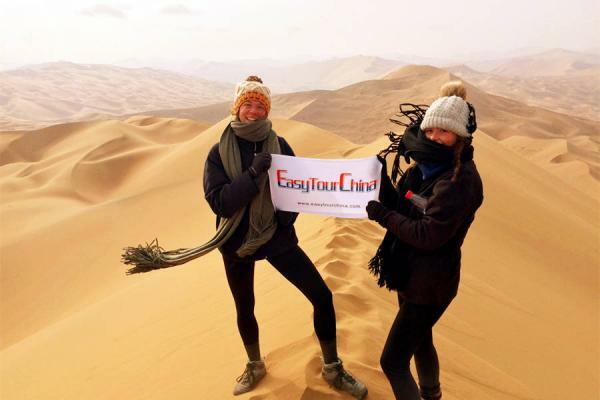 This is a 9-day desert adventure that crossing the fourth largest desert in China. 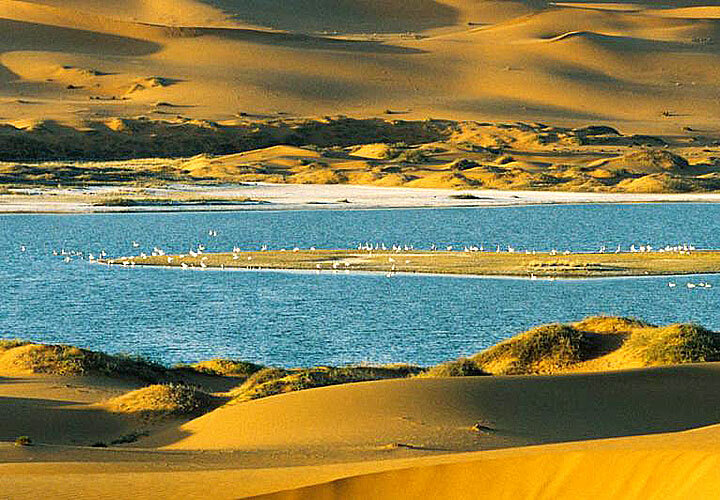 Hiking, driving, camel riding and camping are the unique activities in the wild land, travelers will have chance to see the endless sand dunes and other destinations in Gansu & Ningxia areas, like Yinchuan, Zhangye etc. And you will visit other scenic spots like Ming Dynasty Great Wall, Jiayuguan, Overhanging Great Wall, Dafo Temple, Shandan, Zhongwei, Tengger Desert, Wuzhong, Muslim Culture Garden, Western Xia Imperial Tombs. 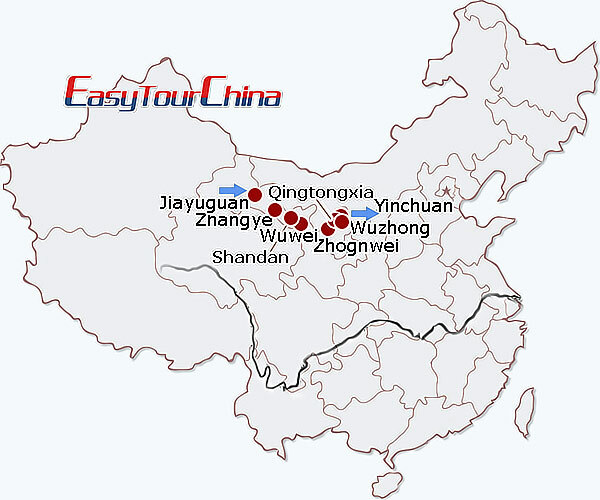 Upon arrival in Jiayuguan, you will be met at the airport by our local guide, and transferred to hotel. 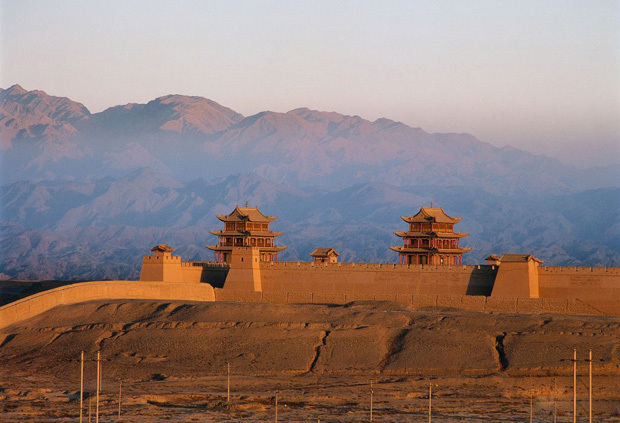 Visit the Jiayuguan Fort, the western terminus of the Ming Dynasty Great Wall. Walk from Jiayuguan Pass to the Overhanging Great Wall, about 7 km to the north. Then drive to Zhangye (244km) and visit the Giant Buddha Temple (Dafo Si), where you will see the largest reclining Buddha in China, built in 1098. Overnight in Zhangye. 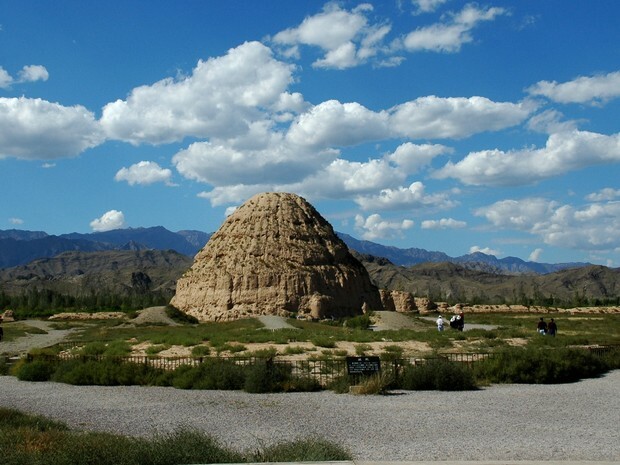 Drive about 1.5 hours to Shandan for today’s hike (16-20 km), you will witness grassland, Gobi Desert, red stone mountains, and the ruins of both a fortress and a beacon tower. Then head for Wuwei by car (255km). Overnight in Wuwei. After breakfast, drive for half a day along the Old Silk Road to Zhongwei (880km), a desert city in Ningxia Province which is surrounded by sand dunes. Hike in the late after noon (10km), half of which will be in the desert and the other half on and along the ruins of the Wall. En route, see a beautiful lake which provides an oasis for thousands of migrating birds in the spring. Overnight in tents in the desert. 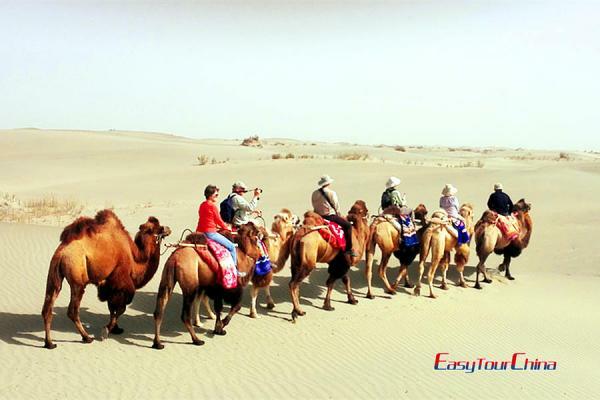 Just like the camel caravans that traveled the Silk Road so many years ago, ride woolly Bactrian camels from the morning campsite to evening one, across what appears to be the endless Tengger Desert. That evening, view the setting sun from our campsite, and wake up to a magnificent sunrise the next morning. Overnight camping in tents. 6 Day 6 Campsite #2, visit the stunning 108 Dagobas stupas, etc. Take an exciting trip down the Yellow River (the second-longest river in China) by a sturdy sheep-skin raft! 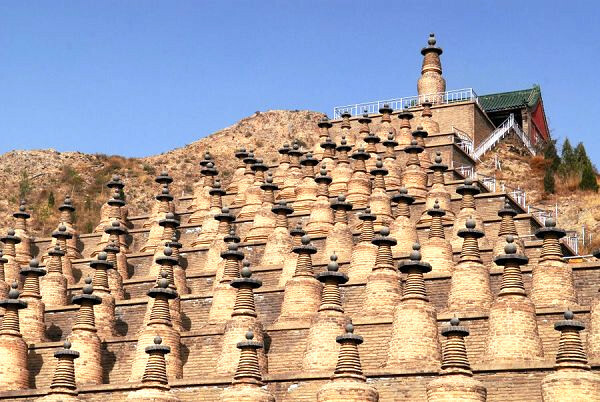 Disembarking at Qingtongxia, we will have a short visit to the stunning 108 Dagobas stupas, arranged near the bank of the river in the shape of an equilateral triangle. Then precede to Wuzhong, a town of Muslim Hui people. You can pay a visit to their local Bazaar after dinner. Overnight in hotel. Rafting from Wuzhong to Yongning, and then drive to Yinchuan, the capital of Ningxia Hui Autonomous Region. Visit the Muslim Culture Garden and Museum. Overnight in a hotel in Yinchuan. Visit the Western Xia Imperial Tombs, which are nicknamed by the Chinese as the "Pyramids of China". The tombs were originally created by the founder of the Western Xia Kingdom (1038-1237 AD), Li Yuanhao. Transfer to the airport and fly to your next destination.